Fischbein’s PBC 6000-SSW™ sealer is specifically designed for use in corrosive and wash down packaging environments. Fischbein’s PBC 6000-SSW™ sealer is specifically designed for use in corrosive and wash down packaging environments. This state-of-the-art sealing system with stainless components and wash down specifications seals a full range of pre-glued, multi-wall pinch style paper bags. The PBC 6000-SSW’s sift-resistant closure makes it perfect for powders and granulated chemicals, pesticides fertilizer, pet-food and food products. 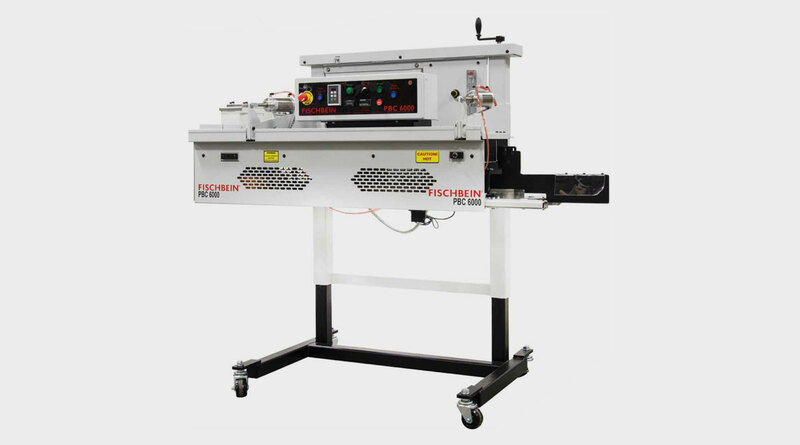 Speeds up to 85 feet per minute and glue-flap width up to 2 ¼ inches are available to meet customer needs. The PBC 6000-SSW’s unique hot air manifold incorporates an efficient heater element that maximizes hot air flow, allowing faster production with less energy use. The system’s mobile, height-adjustable frame and Fischbein’s patented break-away design make maintenance safe and fast. Other innovative features include a safe, user-friendly, low-voltage control panel, an air-flow sensor and an over-temperature shutdown sensor to prevent the system from overheating. Specially designed to fill the needs of our end-users, Fischbein PBC 6000-SSW is engineered with an extended non-stick, durable folder blade that closes the bag gradually. The PBC 6000-SSW’s advanced features result in bag closures unmatched in reliability with a seal you can count on every time.